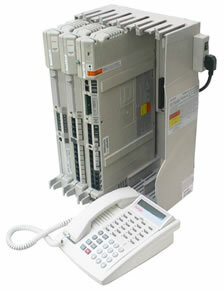 Welcome to the California Telephone Systems Family. We are a family run business with our Technicians averaging over 20 years experience. We offer the highest quality of Business Telephone Systems, Voice Mail, Equipment and Personal Customer Service on the market today. We service the communities of Orange County being centrally located in Mission Viejo. The majority of our customers are by referrals since we are very dependable and knowledgeable. Here at California Telephone Systems, we strive for excellence and for happy repeat customers. Please browse through our website to see if any of our products or services are of interest to your Company. More than 1 million businesses have turned to the Avaya PARTNER® Advanced Communications System. The PARTNER System delivers what growing business really need: great call coverage, flexible messaging options, a great selection of stylish and functional phones, and the ability to connect a wide range of accessories. With PARTNER ACS, it’s not only about communications; it’s about helping your business grow.